Our Submission Period Is Open! Starting August 1, 2018 The Blue Route will be reading submissions for Issue #21! If you are a current undergraduate student, you are eligible to submit prose (1-3 pieces of fiction or creative nonfiction totaling no more than 3000 words) or poetry (up to 3 poems). This entry was posted in Uncategorized and tagged Blogs, College, Creative writing, fiction, Literature, Poetry, Prose, Storytelling, Undergraduate literary journal, Undergraduate Writing, Writing on August 6, 2018 by carlieelizabeth24. From January 1 to March 1, 2018, The Blue Route will be reading submissions for Issue #20! If you are a current undergraduate student, you are eligible to submit prose (1-3 pieces of fiction or creative nonfiction totaling no more than 3000 words) or poetry (up to 3 poems). This entry was posted in Uncategorized and tagged Blogs, College, Creative writing, fiction, Literature, Poetry, Prose, Storytelling, Undergraduate literary journal, Undergraduate Writing, Writing on January 1, 2018 by carlieelizabeth24. Featuring undergraduate writers from Central Michigan University, Dickinson College, Indiana University Bloomington, John Carroll University, Swarthmore College, Ursinus College, and a spotlight interview with author Stephanie Powell Watts. Thanks to all the writers, artists, and staff members who helped to make this issue a great one. Enjoy reading! This entry was posted in Uncategorized and tagged fiction, issues, Literary journals, Magazines, Poetry, Prose, Undergraduate literary journal, Undergraduate Writing on December 8, 2017 by widenerjmesch. Here’s the simple answer: Shelley wants to make you cool again. 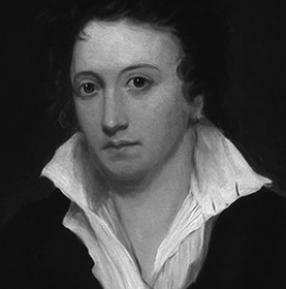 Percy Bysshe Shelley wrote, among other profound and fantastic things, “A Defense of Poetry.” If you never read a single thing by Shelley after this, it would be your loss, but not the end of the world. Ignoring “A Defense of Poetry” as an English kid should make you question your identity. Shelley expands on this idea further by saying that “A single sentence may be considered as a whole though it be found in a series of unassimilated portions; a single word even may be a spark of inextinguishable thought.” Some writing is so powerful that it may stand alone, though it is only a few words out of a larger text. In other instances, Ezra Pound’s “In A Station of The Metro” is a mere two lines, but the words stick. Haikus are seventeen syllables total—but we all classify that as poetry. Why defend poetry? “A poem is the very image of life expressed in its eternal truth.” Poets are commentators on our world. Listen to them, for they exist to guide us down the path of moral good. Listen to them; let them pump magic through the veins of our imagination. Listen to poets who lift “the veil from the hidden beauty of the world.” Let them make “familiar objects be as if they were not familiar.” Listen to them as they play with sound and mind and soul. This entry was posted in Uncategorized and tagged Defense of Poetry, Percy, Poetry, Prose, Shelley on October 6, 2015 by erirving.